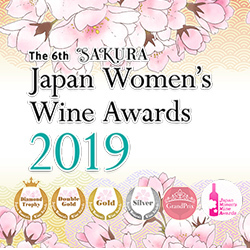 6th “Sakura” Japan Women’s Wine Awards Competition took place on January 29-30, 2019 in Tokyo. The Competition featured the best commercially-produced wines from around the world, judged solely by leading professional women in the wine industry. This unique competition evaluating wine from around the world from a woman’s perspective has garnered interest globally and has set a new precedent for wine competitions. PrevJames Suckling chooses two wines of Capçanes among the best 100 wines of Spain in 2018: OUR TOP 100 SPANISH WINES in 2018! !